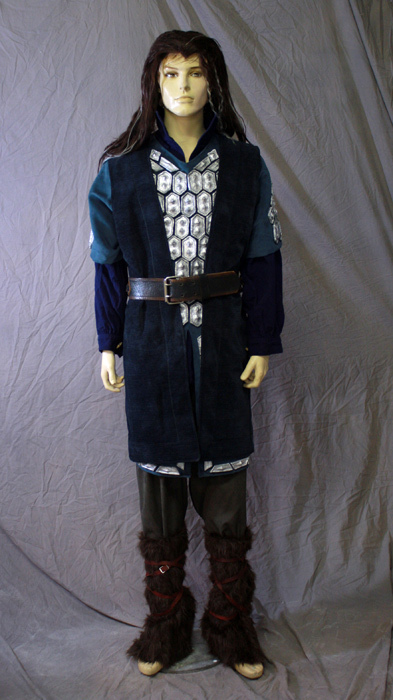 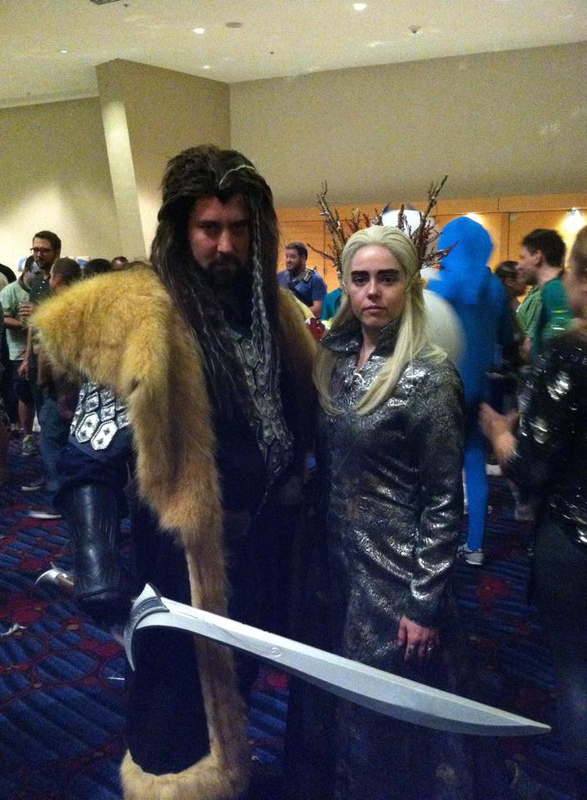 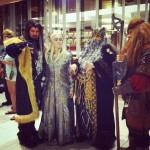 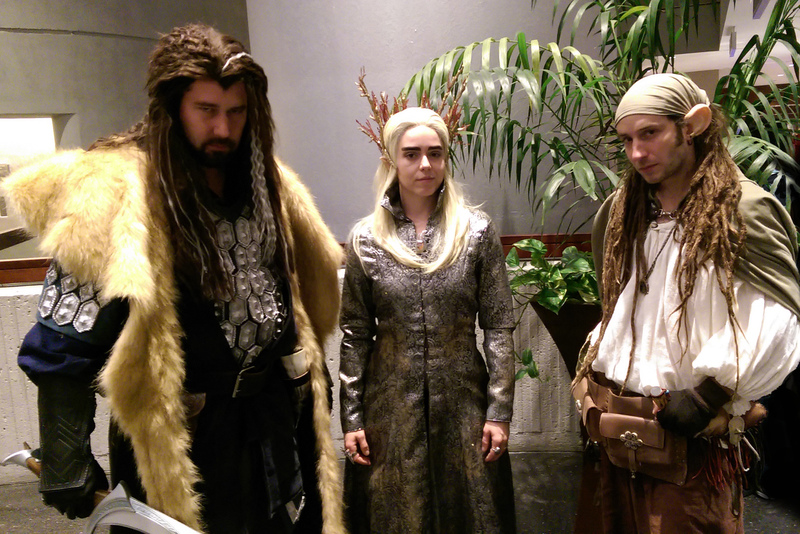 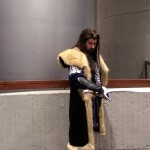 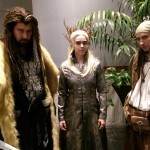 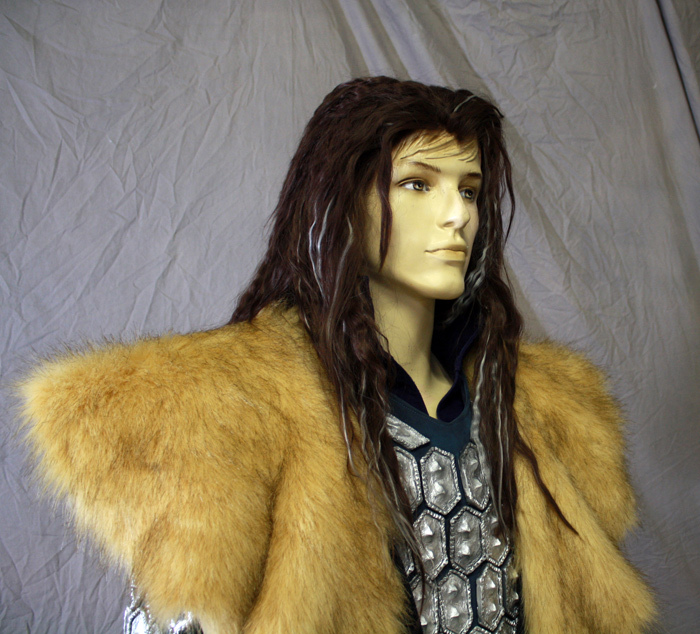 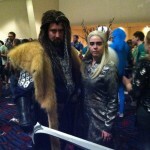 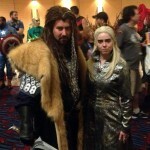 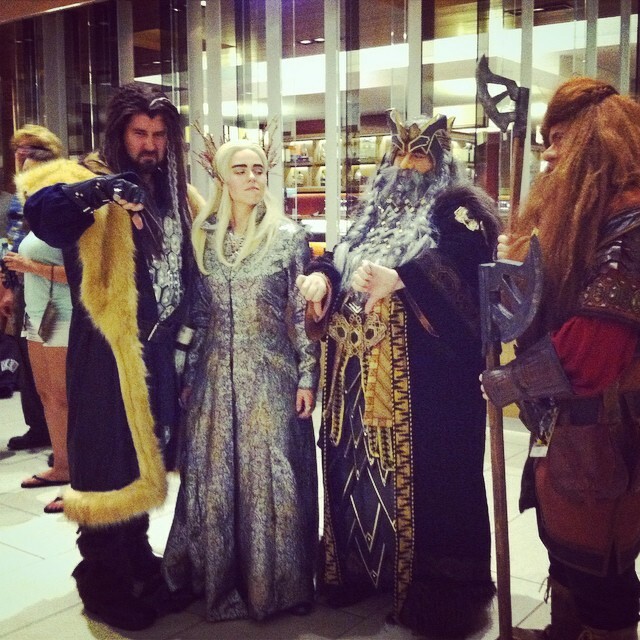 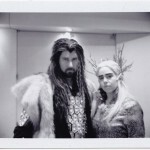 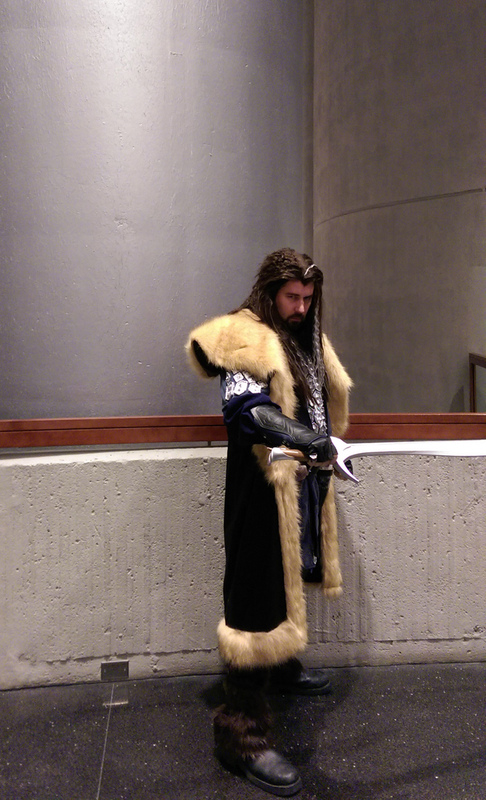 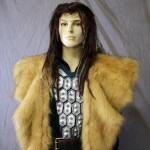 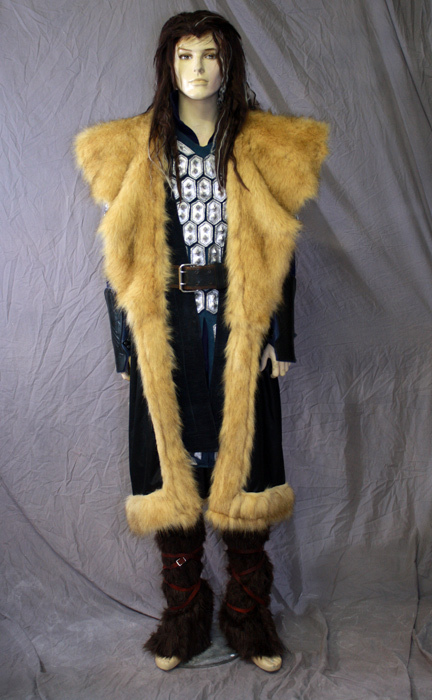 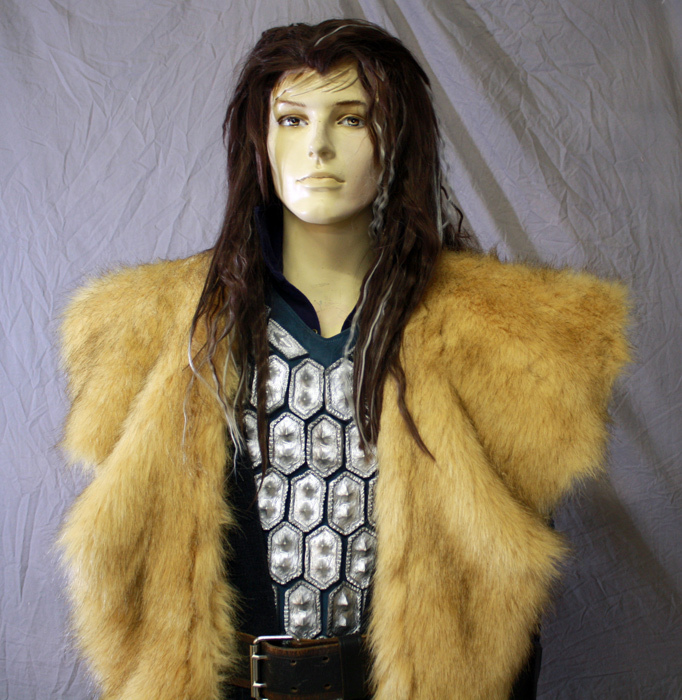 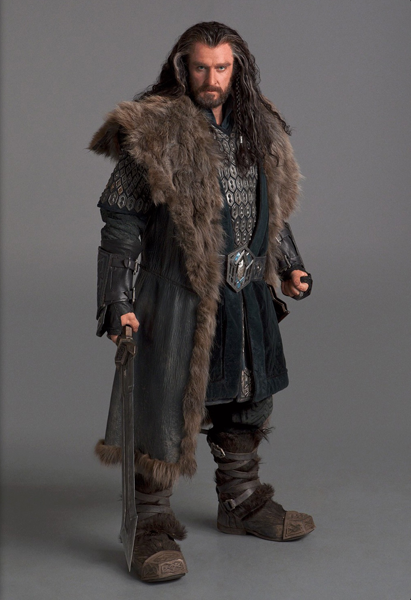 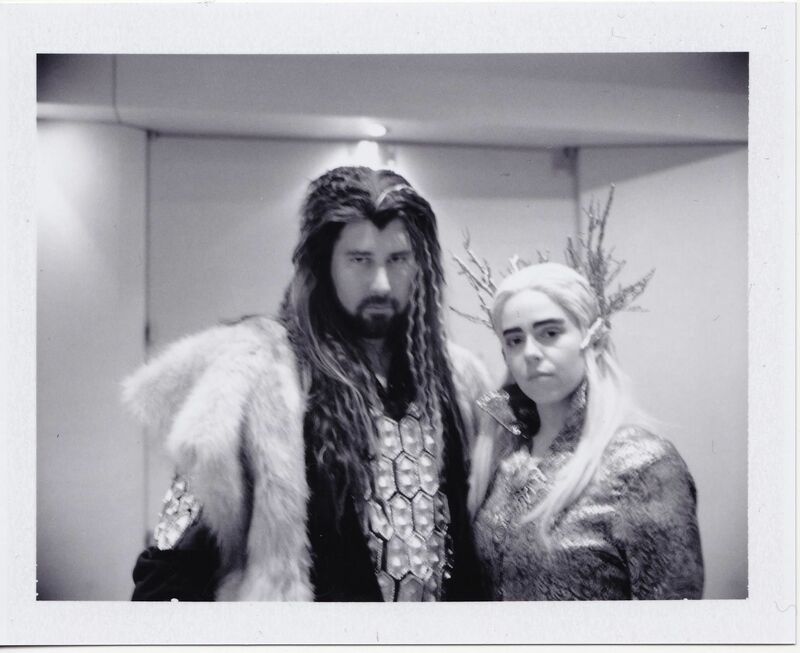 Costume recreation of Thorin Oakenshield from The Hobbit and Unexpected Journey and the Desolation of Smaug. 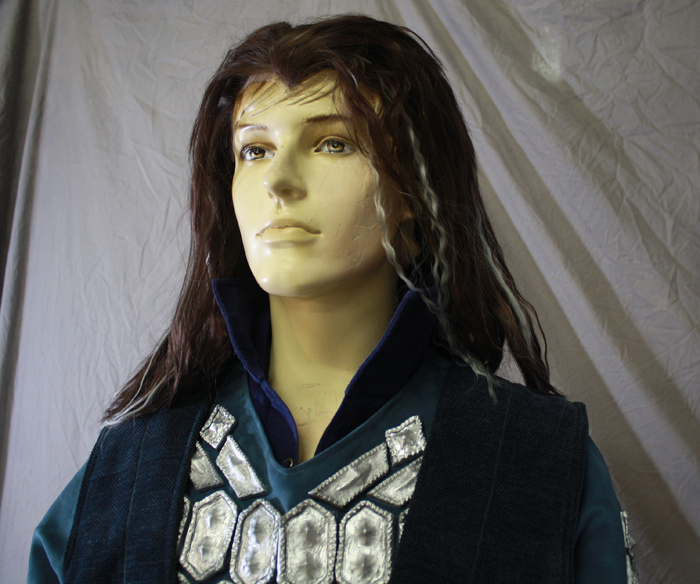 Wig by Arda Wigs, styled by Terra McCartney of Tease Salon. 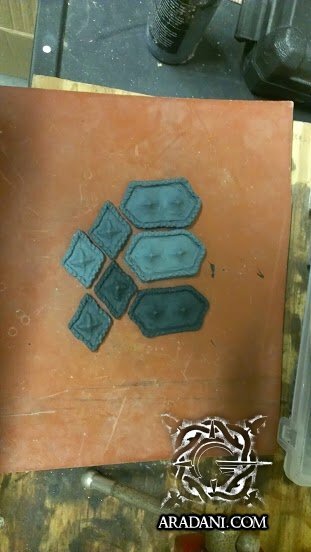 I sculpted these in Monster Clay, made a Rebound 25 mold, and cast them in Smooth Cast 300. 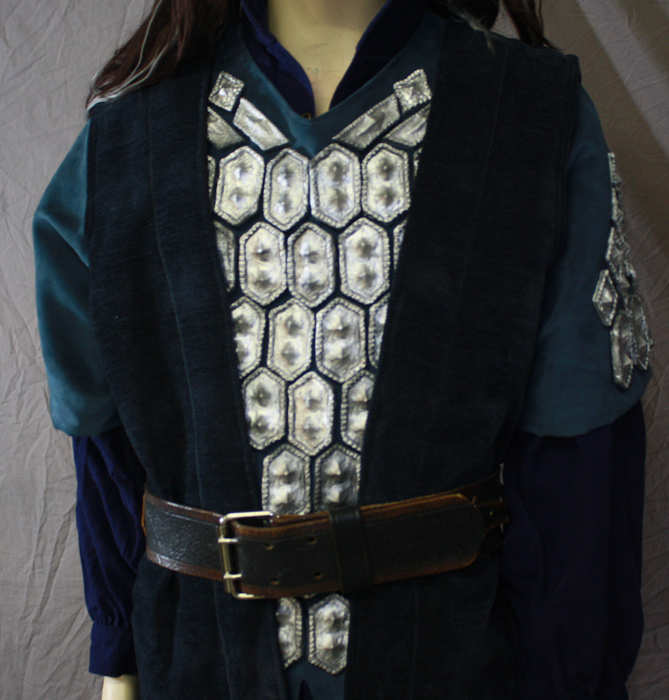 I then used P3 primer (black) and painted them with Rub n Buff silver. 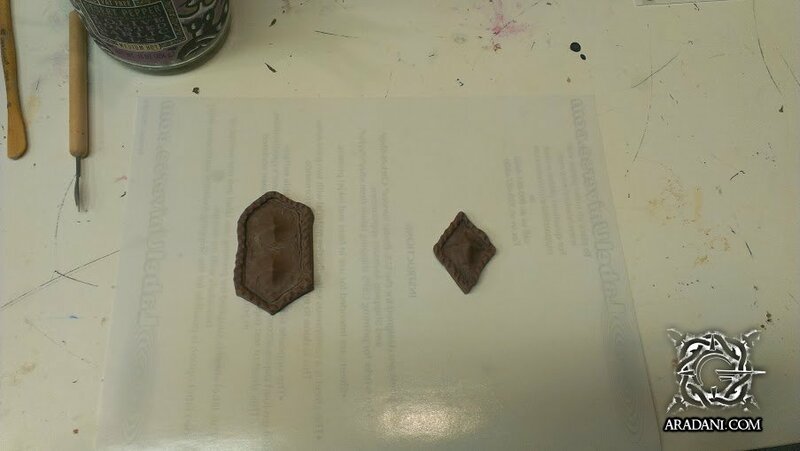 To attach them to the undershirt I used Fabri-Fix, which is a flexible fabric glue. 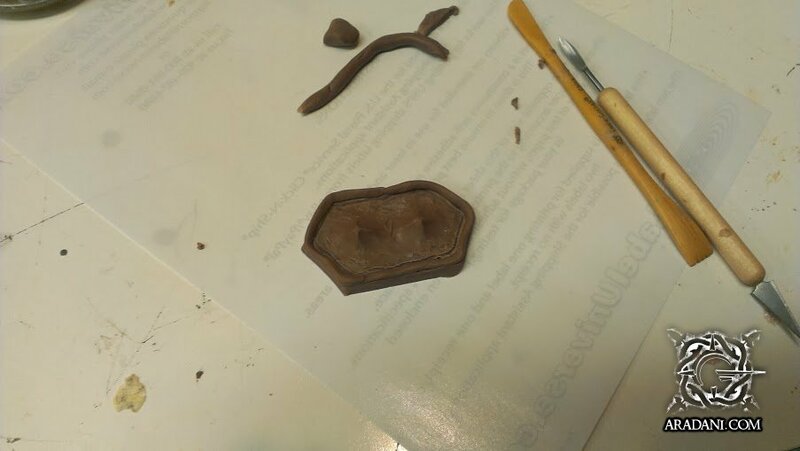 It really worked well! 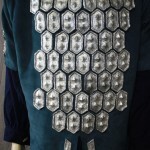 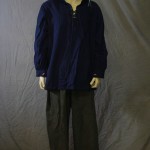 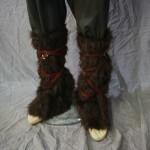 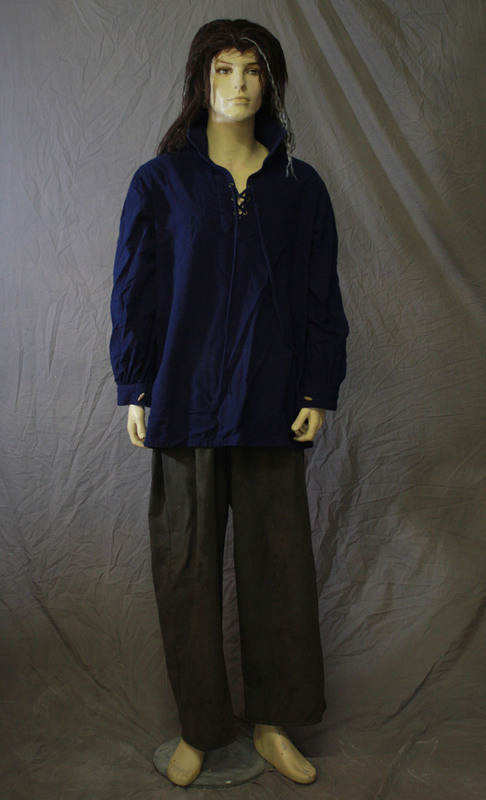 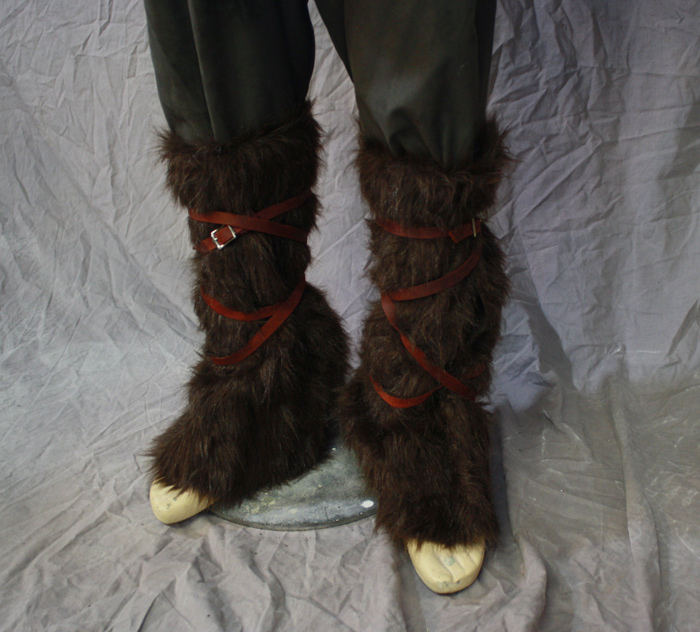 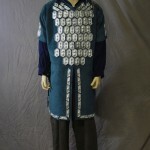 The underlayer of the costume is made of a loose knit cotton. 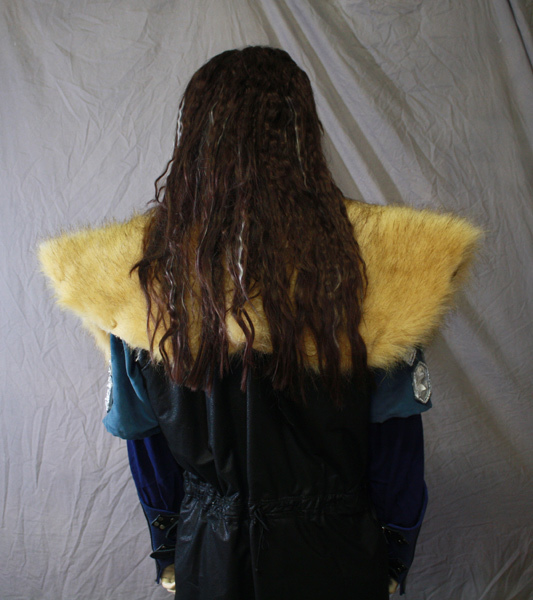 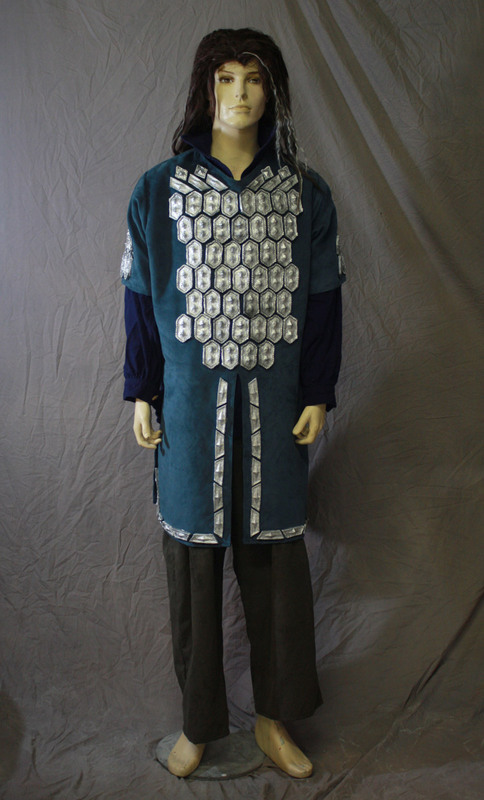 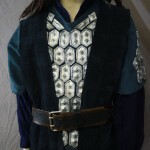 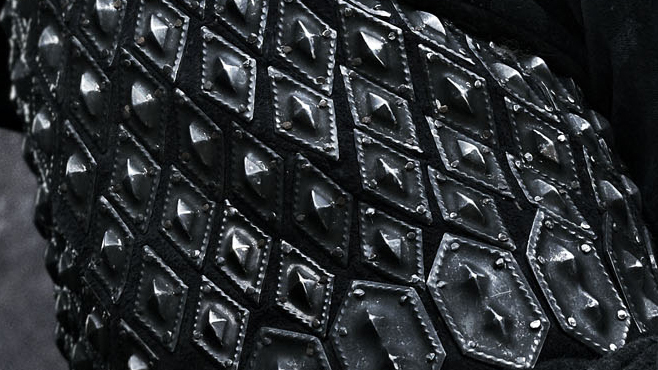 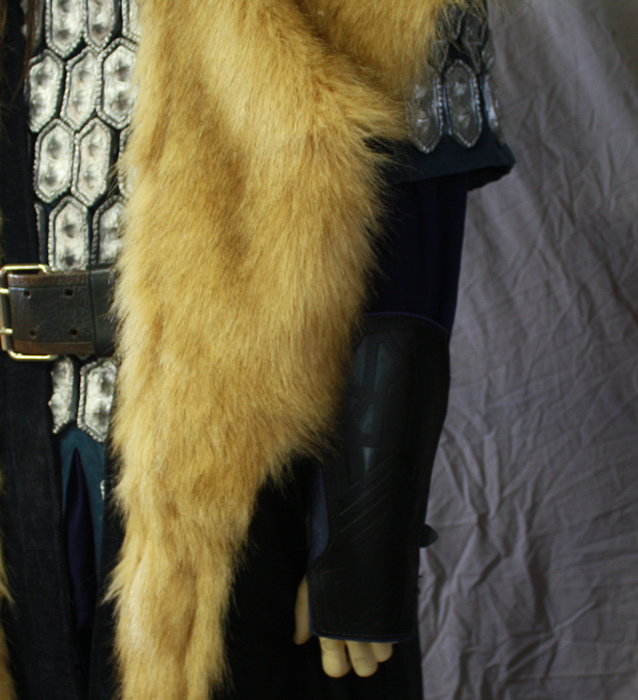 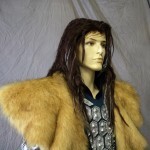 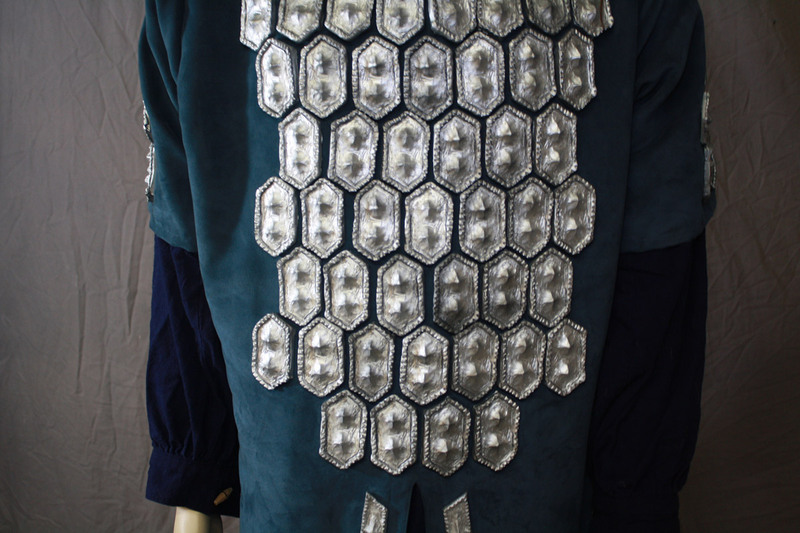 The scalemail is a mix of costume cast plastic armor and faux suede. 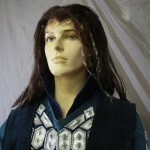 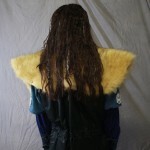 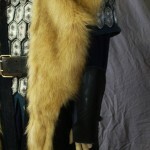 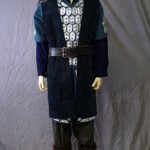 The undervest is made from blue upholstery and the outer vest is faux leather and faux fur.